There is a need to conceptually link findings from specific experience areas and to generalize from them to overarching principles of experiences. Building on recent syntheses and conceptualizations, we contribute to this discussion and synthesis by proposing a framework that we think answers questions regarding the role of the brand in the customer journey and the customer experience and the measurement of overall brand experiences. Regarding the role of the brand in the customer experience and the customer journey, we follow the conceptualization that brands reflect all customer experiences with a brand along the customer journey. Thus, the experiences that brands evoke within the customer (sensory, affective, behavioral, and intellectual) represent these overall experiences that customers have with a brand along the customer journey. By linking the brand experience concept to two recent frameworks on static and dynamic experiences and the customer journey and experience, we propose that static experiences, i.e., single touchpoints, reflect the brand-related stimuli that compose the overall, i.e., dynamic, brand experience. 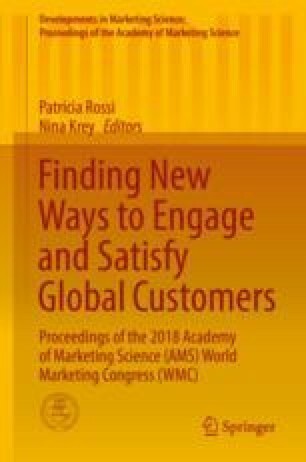 This conceptualization allows for the measurement of the overall brand experience across multiple touchpoints and multiple stages, which is an important issue for both marketing theory and practice. Accenture. 2015. Improving customer experience is top business priority for companies pursuing digital transformation, according to Accenture study. Press release. Retrieved from https://newsroom.accenture.com/news/improving-customer-experience-is-top-business-priority-for-companies-pursuing-digital-transformation-according-to-accenture-study.htm.